If you’re looking to take home a one-of-a-kind memento of your stay in Barcelona or just want to check out some funky locales, here are some of the most unique shops in the city that you will not want to miss out on exploring! One foot inside and you’ll feel like you’ve stumbled across the prop room of a vaudeville circus. 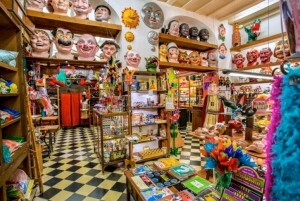 Opened in 1838 by the Escalers, a family of sculptors, El Ingenio houses Barcelona’s most unique collection of papier mâché heads called capgrossos, which portray the likes of famous historical figures like Pablo Picasso, Groucho Marx and Charlie Chaplain. A truly unique store in Barcelona, El Ingenio holds the reputation for having been frequented by Salvador Dalí during his lifetime and even serving clients like the Cirque du Soleil entertainment company. 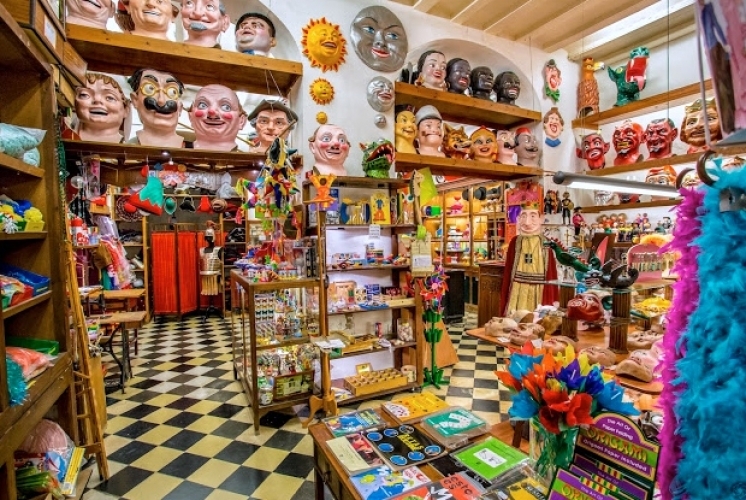 The shop also features a selection of masks, show props, puppets, and old-fashioned toys. Today, owner Agustin Sevillano proudly carries on the original founding family’s traditions of countless hours hand sculpting masterful creations. Just down the alleyway from Barcelona Cathedral is La Basílica Galería, a room full of wood-framed glass cupboards that house eclectic jewelry pieces designed by by over 200 artists. Looking at these pieces, it’s clear that, much like the story, they carry a nature-inspired motif that draws on the wonder and awe of life itself. 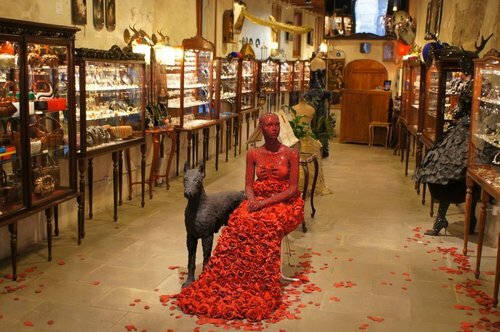 As soon as you enter this unusual Barcelona store, you’re greeted by a sculpture of a seated woman dressed in red rose petals created by Piotr Rybaczek, Polish artist and La Basílica Galería’s founder. Be sure to also check out their artisan perfumery just across the street. 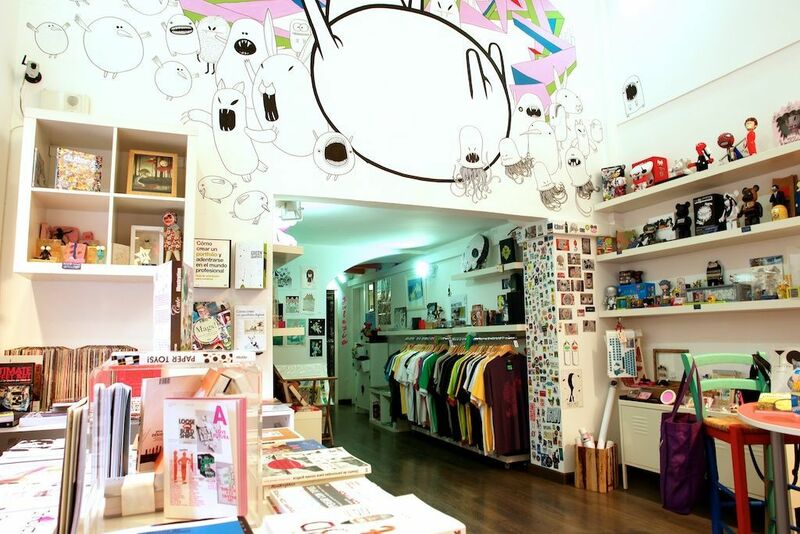 Started in 2009, this art gallery/concept store houses some of the neatest designer toys created by graphic artists. Here in this cartoonish world, you will find loud and colorful stickers covering the walls, fun-looking print tees, outlandish-looking vinyl figurines and comics. SHO bcn is the perfect place to take home a unique souvenir from Barcelona and support an independent artist. Calling all DIY and Pinterest addicts! Oslo is a whimsical wonderland that houses the wearable works of over 40 artists and artisans from all over Barcelona. The store features custom graphic print tees, original jewelry pieces, handbags, hats, headpieces and framed works of art. Scoping out the scene here is not only a great way to pick up a few one-of-a-kind items, but to also meet talented artists and get some inspiration for your next DIY project. Located in the alternative neighborhood of El Raval, Fatbottom is a nerdy nirvana for comic book enthusiasts. This weird and wonderful Barcelona store features some collections from more popular labels like Marvel to more underground works. 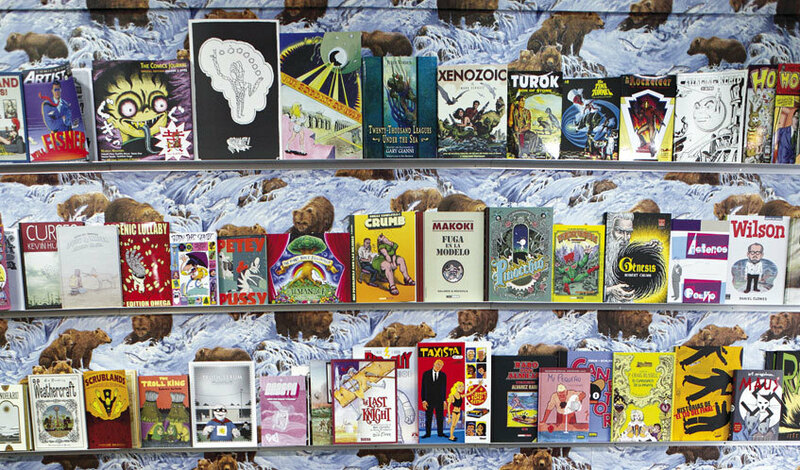 Here, you can also find a selection of graphic novels, sci-fi, translated works and children’s books, all full of colorful and funky illustrations. 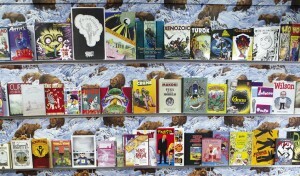 Besides comics, Fatbottom features music and photography collections. If you’re a photography fanatic, then Chandal is the place for you. This slice of retro heaven boasts an offering of instant film cameras like Polaroid and Impossible Project. 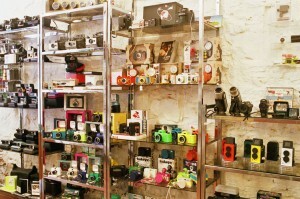 They also have classic Super 8 film cameras and other vintage models and even a film development lap. 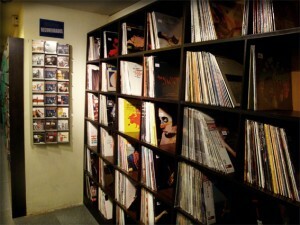 Besides camera accessories, you can find vinyl records, neat-looking stationery and fun toys for kids. Pick up a Polaroid and capture some fond memories of your adventures in Barcelona! Since 1980, Jazz Messengers has been opening a plethora of portals into the wonderful world of jazz with over 15,000 records dedicated to popular greats such as Benny Goodman and Oscar Peterson as well as Catalan labels. You’ll not only find new arrivals at this unusual Barcelona store, but also second-hand vinyls and rare LPs. Whether you’re into big band, Latin jazz, smooth jazz or anything in between, you won’t want to miss out on stopping by this musical locale. Foodies, take note: if you’re looking to bring the flavors of Barcelona back to your home, Colmado Quilez is your one-stop shop for tasty local treats such as jamón ibérico, different types of sausages, cheeses, wines and sweets. 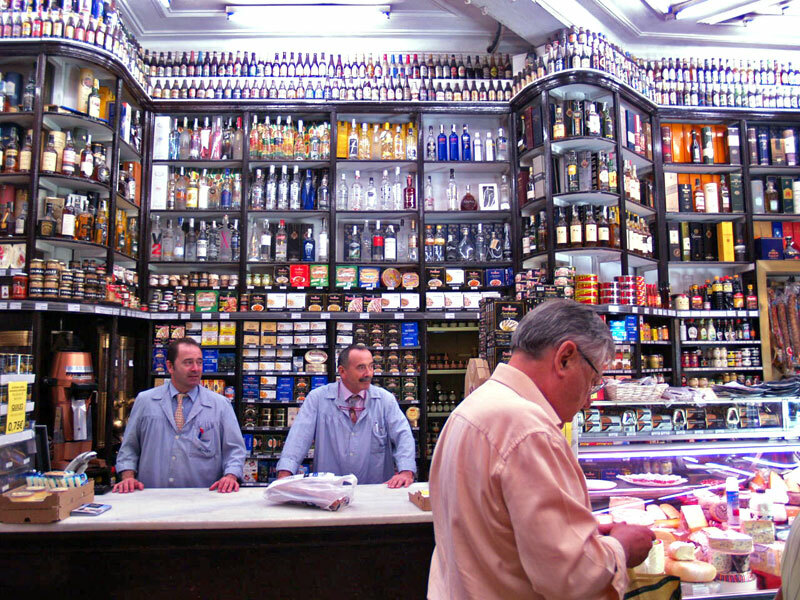 Since 1906, the Lafuente family has offered to its customers thousands of premium gourmet products to choose from, so you are definitely in good hands when it comes to brining home some of Barcelona’s finest treats. One step into this vintage Valhalla and you’ll think you’ve just entered a mid-20th century fishing village house that has recently been occupied by Barcelona hipsters. 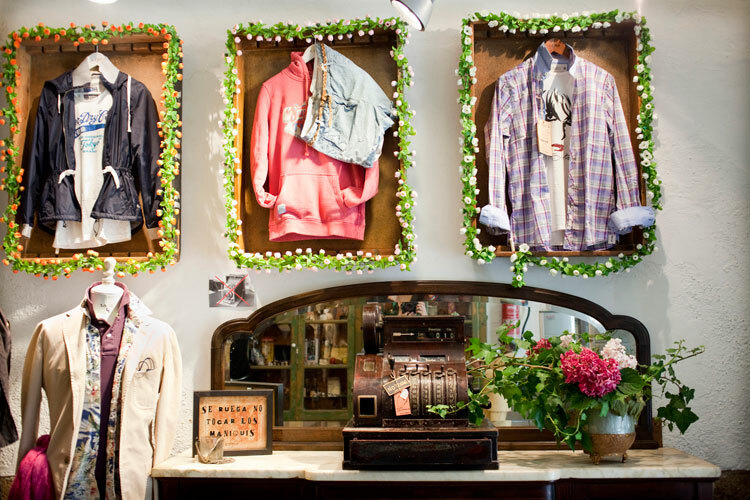 Loisaida vintage store’s ambiance gives visitors nostalgic vibes with their selection of stylishly chic clothes that also emit a classic edge. 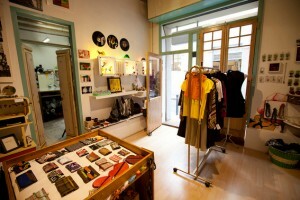 The store carries a selection of second-hand items and pieces from their own label as well as international brands. This is definitely not your grandmother’s closet! If you’re a daring wheel shredder who likes to get around the city by board, look no further than Bōdo Barcelona. The skate shop’s walls are adorned with countless colorful boards and wheels decorated with cool designs. 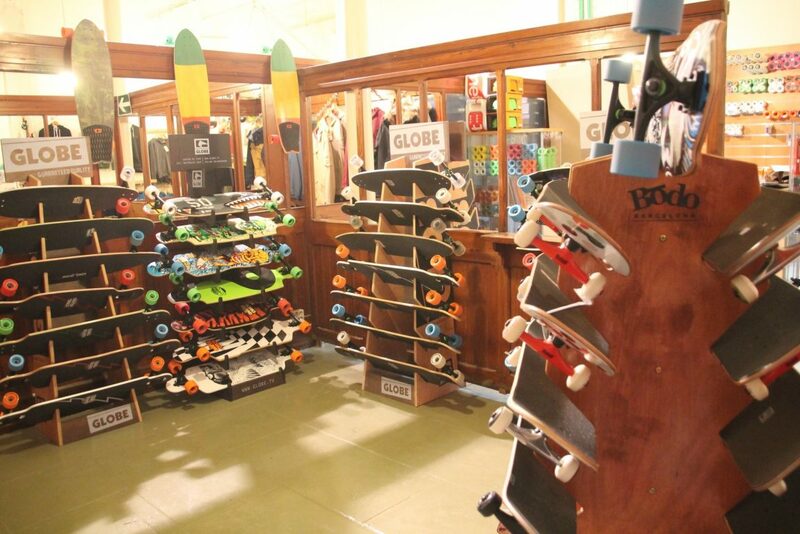 They offer skate boards, longboards and penny boards to buy or to rent. If you feel like catching some waves at La Barceloneta, Bōdo even offers a surfboard rental program. If you’ve already got your own board, you should still stop by and check out their gear and accessories as well as cool clothes for men, women and kids. Danielle Velasco is a photographer and journalist from the United States currently living and studying in Barcelona.